Our homes are our safe havens so it's important we do everything we can to keep the people we love and our belongings safe and sound. A garage door can be just as vulnerable an entry point as all every other door and window of your house. Taking a few necessary precautions can help to ensure optimal security. Openers have become one of life's greatest conveniences. With the push of a button your garage door will open and you'll be able to drive into your dry, safe home without ever having to get out of your car. Convenient as an opener is for your daily routine, you can only imagine how convenient it will be for thieves, providing they manage to get their hands on your remote. There are ways to prevent it from falling into the wrong hands. For once, you can make sure to never leave your remote in your car. If your car gets stolen and the thief knows your address, it would be simple for them to drive to your home and even drive inside your garage if they wish. If your remote is not on a key chain with the rest of your keys, take it with you anyway. You may be tempted to leave your garage door open if you are just making a quick run to the store or having coffee with a neighbor. That would be a really bad idea, though. Leaving the door open makes it very simple for a would-be thief to peek inside to see if there's anything worth stealing. If they like what they see, it’ll make them curious as to what other treasures are hidden inside your home. Also, if your garage has windows, either cover them with curtains or install frosted glass. Going away on vacation is something we all love to do. It's always nice to go away for a few days or weeks. Home security is always important, but even more so when aren't at home. Apart from the obvious task of keeping all windows and doors locked and secured, one of the best security measures you can take is to disconnect your opener from the power socket. That way, no burglar will be able to use it in order to gain access to your home. With a few simple security measures, you can keep your home, including your garage, safe. Simple things like remembering to keep doors locked and keeping keys and remotes on your person are crucial to ensure your home's security. Regular maintenance is another vital way to ensure your garage door is in the best condition possible. 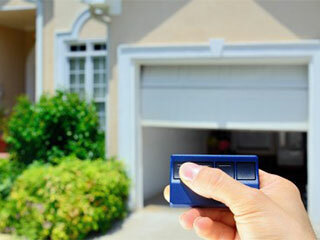 Contact our experts at Garage Door Repair Pompano Beach today to schedule an appointment.